Superdry men's Premium Goods tonal hoodie. 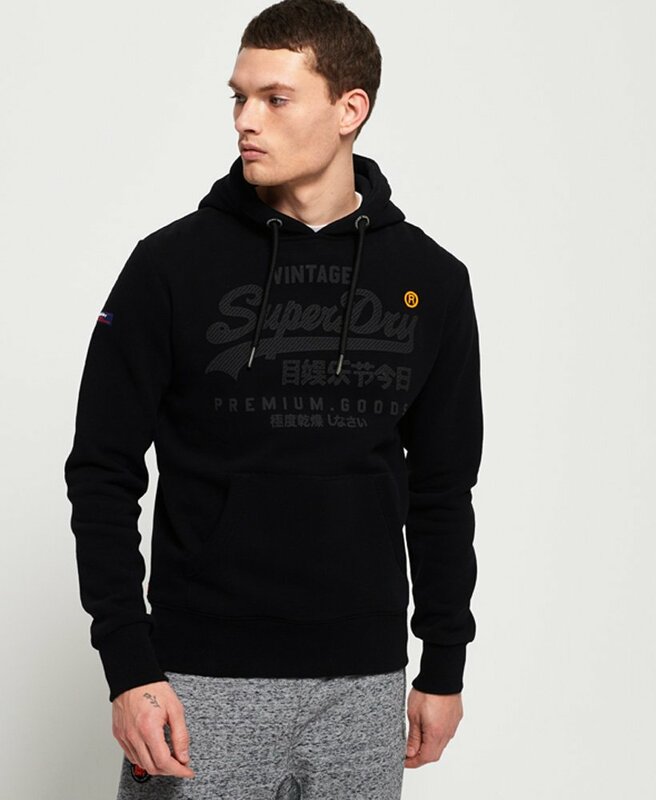 Update your everyday attire this season with the Premium Goods tonal hoodie. This hoodie features a drawstring hood, front pouch pocket and textured logo graphic on the chest. The signature orange stitch in the side seam provides the finishing touch.